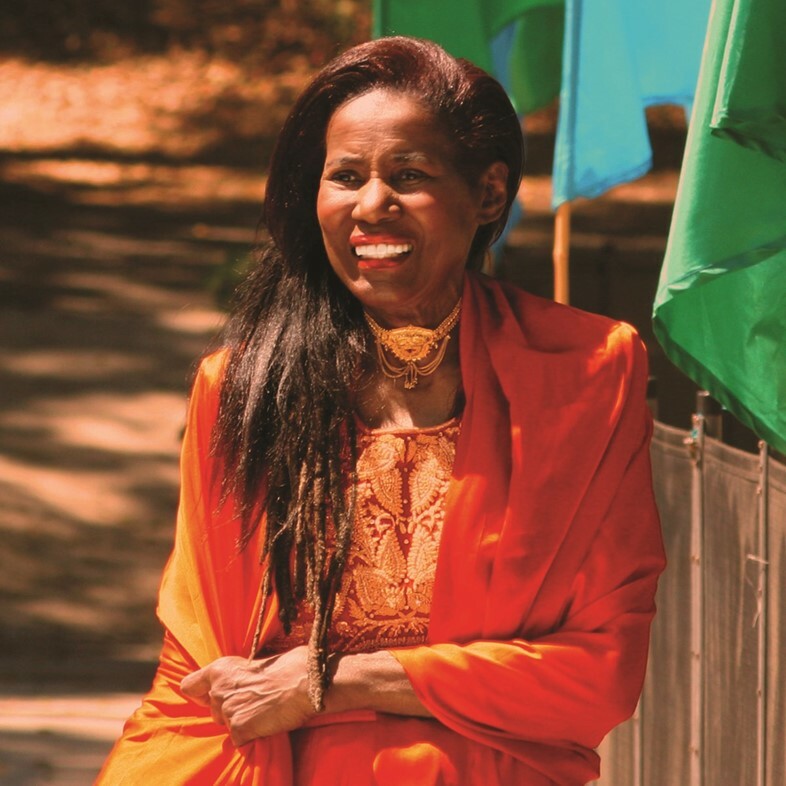 Ten years ago, American jazz pianist, organist, harpist, singer, composer, and spiritual teacher Alice Coltrane Turiyasangitananda passed from this world to the next. In life, Alice Coltrane was a visionary with an extraordinary story, but until recently her legacy has been at least partially obscured by that of her long-departed husband John Coltrane, arguably the greatest jazz saxophonist of his generation and an incalculable influence on the genre. In the years following John’s death in 1967, Alice underwent a series of revelations. After releasing a remarkable run of cosmic jazz albums in the late 1960s and 70s and pilgrimaging to India, these revelations led her to establish an ashram (a religious retreat) outside of Los Angeles and create a singular form of devotional music that could only be born from a life lived through the peaks and valleys of total ecstasy and inescapable agony. Though once a relatively obscure part of the musician’s history, Alice Coltrane’s worship recordings have become an increasingly frequent topic of discussion in recent years. With Vedic chants punctuated by handclaps and tambourines, these songs differ from the Indian and Nepalese devotional music in their use of celestial, star-spanning synthesiser, organs, strings, and drones, Western melodies and composition, and vocals tempered by the Detroit church choirs of her youth. It’s music that truly sounds like nothing else, born from her need to create for and with her spiritual community. It’s music that only she could have made. Born Alice McLeod in Alabama in 1937, Alice Coltrane spent her childhood and teenage years on Detroit’s east side. The fifth of six siblings in a musical family, she took up piano and organ at a young age. By the time she was 16, Alice was accompanying several local choirs and gospel groups. It was through these experiences that she first connected with the idea of devotional music. At the same time, the city’s burgeoning jazz scene was calling, and Alice became a familiar player around town before heading to Paris with her first husband, a jazz singer named Kenneth ‘Poncho’ Hagood. There, she forged musical connections with players like Bud Powell, Lucky Thompson, and Kenny Clarke. She performed around the Parisian capital, took part in televised jazz broadcasts, and in 1960 she gave birth to her first daughter Michelle. But Kenneth was using heroin, and as his habit grew, Alice returned to Detroit with her daughter and moved back in with her parents. Back in Motor City, she returned to the local circuit and was captivated by the widescreen visions that John Coltrane was expressing with his albums of the time. Alice saw John perform in Detroit in 1962, and a year later she opened for him in New York with vibraphonist Terry Gibbs ensemble. With time, they’d forge a relationship, and in 1965 – two years after their relationship began – they married in Juarez, Mexico. Yet by 1967, John would be dead from liver cancer. The flame that burns twice as bright burns half as long. During their time together, Alice and John had three sons – John Jr., Ravi, and Oran – and stepped beyond the framework of their traditional Christian upbringings, exploring Hinduism, Zen Buddhism, and Hare Krishna practices in their search for something sublime and higher. With this deep dive came John’s titanic masterwork A Love Supreme, and other freeform records that looked towards the light in their own way. After John’s death, Alice went without food and sleep for days, suffering from hallucinations along the way. Her spiritual drive pushed her towards the Vaishnavism branch of Vedic religion, and she met the Indian spiritual master Swami Satchidananda. In his teachings, she found a sense of connection between the individual and the infinite. Alice also learned to play harp, and began recording and performing with the crucial open-eared jazz musicians of the era. A series of incredible albums followed, mostly released through Impulse! or Warner Bros. Records. In 1970, she travelled to India with Swami Satchidananda on a five-week pilgrimage. Upon returning home, a higher force instructed her to establish an ashram of her own. Alice relocated her family to California in 1972. 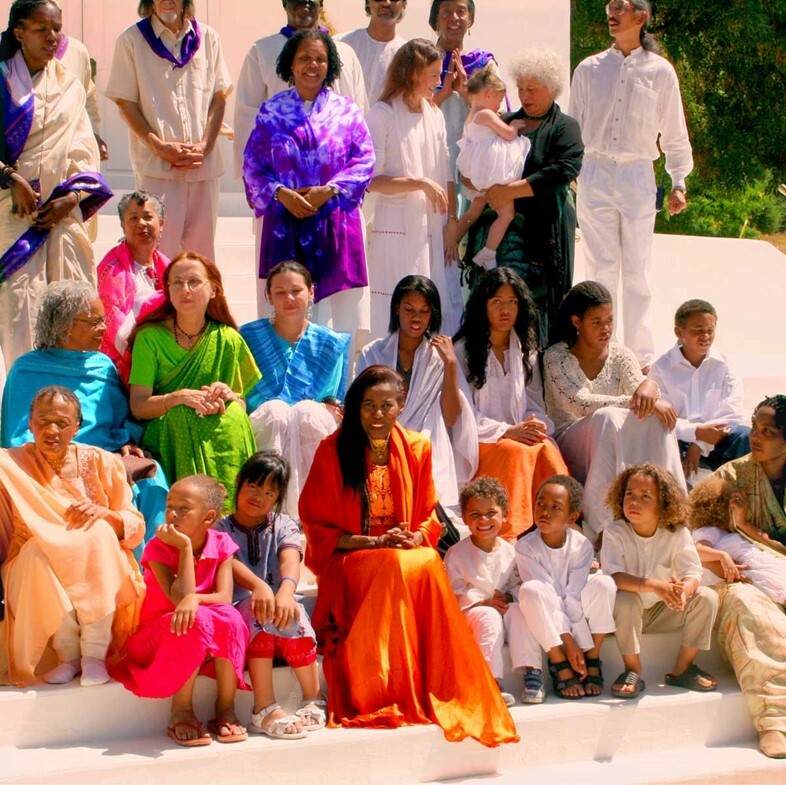 Three years later, she established the Vedantic Center at her home in Woodland Hills, north of Los Angeles. Around this time Purusha Hickson, one of Alice’s early spiritual students and today a Los Angeles-based hatha yoga teacher, discovered Alice’s music while volunteering at the One Mind Temple in San Francisco. The Temple would serve free hot vegetarian meals and play John’s music. One night, someone placed Alice’s Universal Consciousness LP on the record player. “When I heard it, I knew right away that this person had a higher understanding,” he reflects. In 1982, another tragedy befell Alice’s family. Her oldest son, John Jr., died in a car accident. He was barely 18. With deep sadness often comes deeper introspection, and the experience led once again to spiritual revelations. Finding solace in the Vedantic belief in reincarnation, Alice continued on, and a year later opened the 48-acre Sai Anantam Ashram in the Santa Monica Mountains of Agoura, California. Over time, her spiritual community grew, drawing in a diverse mixture of African-American, Latin, Caucasian, and Indian members, all of whom would gather for music on Sundays. One of the youngest attendees was her great-nephew Steven Ellison, who now articulates his own widescreen musical visions as Flying Lotus.